Orange Milk Records is an experimental label (and it could almost be called a collective) that includes artists within glitch music, electronica, and vaporwave including HCMJ, tech honors, Giant Claw, Nmesh, and more – along with a host of projects under other monikers. The label dropped four albums at once this Friday, all from artists who have not released before on the label. All four albums lie within experimental electronica and feature influences from glitch and noise with individual quirks. Contained by Shoeg consists of two tracks in thirty-five minutes that are split up into defined “movements”. Both tracks are long, evolving pieces of electronic media that could best be compared to very early experiments in composing with/for electronic music such as those by John Cage in the 1960s and Arthur Krieger. Tact by Tiger Village is very much based on “retro”-synth music with bleeps and bloops. It’s the glitchiest album that also features influences from hip-hop and chiptune; choice track is “Flightless”. Like Contained, womb by Pajjama is a half-hour in two tracks, except these are delineated as if they are sides to a single cassette. These tracks are straight-up techno music and acid music. Pajjama is a Norwegian group who’s worked with Orange Milk Records artists since 2012; the label references them as “prog” and that’s a good description as any. Finally, there’s メトロノリ works ’14​-​’18 ペール by Metoronori メトロノリ, which is similar to Tact in being glitchy bedroom pop. Metoronori メトロノリ is from Japan, and she often utilizes chopped-and-screwed vocals mixed just on the threshold of audibility. Choice track there is “Passeur 違法越境案内人”. 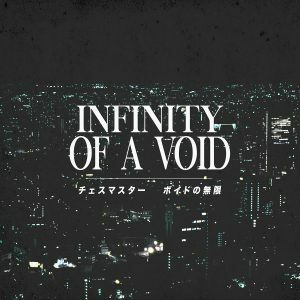 All albums are available for $7 USD each as digital downloads. They’re also available individually for $9 USD each on cassette in an unlisted edition, but you can save money buy purchasing all four in Orange Milk Records’ “November Bundle” for $25 USD.